Tony Ward is a Chartered Statistician – a status awarded by the Royal Statistical Society in formal recognition of his statistical qualifications, professional training and experience. 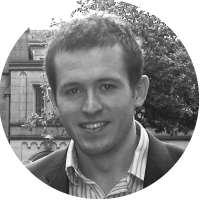 He has over 10 years’ experience of delivering analytical projects, turning data into actionable insight and helping his clients make profitable pricing, marketing and operational decisions. Tony stays at the forefront of innovation in this field through career study breaks. He has taken classes in Machine Learning & Statistics at several of the top Universities in the UK and USA.